Healthy Teeth and Gums For Life: The Importance of Dental Care During Every Stage! In our blog this week, we are here to talk about the importance of maintaining your oral health with regular dental visits throughout your life. 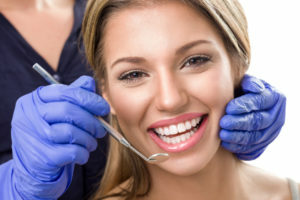 According to the American Dental Association, every unique stage of life is associated with multiple dental tips and techniques for a happier and healthier mouth. Today, we are going to share some helpful advice that may assist in dentally preparing you and your family members for the future. It is important to know what to expect at each age so that you can anticipate changes before they take place and not be alarmed by normal development. We also want to provide you with some important hygiene and home care tips to prevent diseases of the gums and teeth. Even with perfect home hygiene, however, it is still important for everyone to visit their dentist every 6 months for a check up and professional cleaning. Here at Matthew Nawrocki General Dentistry and Prosthodontics, we strive to keep our patients knowledgeable about their dental health. Not only do we educate our patients at every appointment, but we also educate them regularly with our blog entries. If you would like to learn more about the services that we provide, please visit our services section. Please feel free to contact us at any time electronically if you have any lingering questions or if you would like to schedule a consultation. We are happy to accept any new patients and are conveniently located in the Orange Park area. When you are pregnant, there are many hormonal changes that are taking place. This may cause your gums to be more tender and swollen than usual. Because of this, it is very important for you to pay extra attention to your brushing and flossing habits. Morning sickness is one of the dreaded side effects of many pregnancies. If you become nauseous, it is important that you do not brush your teeth immediate after you vomit. Brushing your teeth at this time will actually rub the acid into your teeth and lead to enamel destruction. Instead, rinse with water or mouth rinse and wait 30 minutes before you brush. Finally, remember that it is still important to have dental care during your pregnancy. Routine dental treatment is safest during your second trimester. Emergency situations, such as extreme pain or infection, should be treated during any trimester as the stress associated with them may case harm to your baby. At what age should a baby first be taken to the dentist? According to the American Academy of Pediatric Dentistry, a baby should have their first dental visit by their first birthday or once their first tooth erupts, whichever comes first. Before your baby’s first tooth erupts, it is important to gently wipe their gums with an infant toothbrush or a soft washcloth after feeding. Once your child develops his or her first tooth, you should brush the teeth twice per day with a soft toothbrush. One of the biggest dental concerns for infants is baby bottle tooth decay. To prevent this, always wipe or brush your baby’s teeth after they feed and do not put them to sleep with a bottle if it has milk or juice in it. For more information on baby bottle tooth decay, please watch the following video. Around the age of 5 or 6, your child will begin to lose his or her baby teeth and permanent teeth will grow in their place. After the age of 12, your child will probably have no more baby teeth left. It is important to bring your child to the dentist every 6 months so that your dentist can check for problems and fix them while they are small. At regular appointments, your dentist will take x-rays to check for cavities, apply fluoride treatment to prevent cavities, and check for problems with the bite and tooth alignment, which may need orthodontic treatment. Your dentist may also apply sealants to the permanent molars to prevent cavities in the grooves of the back teeth. Sealants are pain-free and involve the applications of tooth colored filling materials to cover up the grooves of the teeth. As your child reaches adolescence, he or she may think that oral hygiene is unimportant and begin to neglect brushing and flossing habits. This is a crucial time to develop habits that will last a lifetime. There are two main dental diseases that commonly affect adults—caries and periodontal disease. Caries, also known as dental decay of cavities, are caused by acid produced by bacteria that live in dental plaque. Cavities are treated with fillings, crowns, and maybe root canals. Sometimes cavities are so large that the tooth has to be extracted. Periodontal disease, also known as gum disease or gingivitis, causes destruction of the gums and the bone that supports the teeth. If you have periodontal disease, you may need to visit your dentist more often than every 6 months to prevent the progression of this disease. Uncontrolled periodontal disease can lead to the loosening of and eventual loss of some or all of the teeth. With missing teeth comes the need for implants or bridges or dentures. It is important to maintain as many teeth as you can or to have a prosthesis of some type fabricated so that you can stay healthy, happy, and strong during your later years. We hope that you learned some useful tips from our blog entry today and will continue to check back for more blogs. If you live in the Orange Park area or surrounding communities, please feel free to contact us at any time electronically or call (904)602.8396. Comments Off on Healthy Teeth and Gums For Life: The Importance of Dental Care During Every Stage!